Home buyers vary when it comes to their individual home style and choices; however, they share many of the same values when it comes to selecting a community. After employment, the top priorities for most are quality of life, schools and medical care. In western Nevada County, we boast the best of everything. • The latest employment figures show that more workers are entering the workforce (The Union newspaper, December 23, 2013). The county is our largest employer. We are also known as “Tech Valley” with our renowned and award-winning high-tech firms that create video and broadcasting components and digital products for post productions. • Recently, the state Superintendent of Public Instruction visited three of our local schools. “Nevada County can be proud of their schools and hard-working students,” said Tom Torlakson, state superintendent (The Union newspaper, December 17, 2013). Particularly noteworthy is Ghidotti High. Situated on the campus of Sierra College, students can earn their high school diploma while earning college credits. It is rated ninth on the state’s Academic Performance Index. • Residents can find the best in medical care without having to leave town. Sierra Nevada Memorial Hospital’s cancer center is a nationally accredited Community Cancer Program by the Commission on Cancer of the American College of Surgeons. We are one of the few centers to reach this level of accreditation. • In October, Western Sierra Medical Clinic broke ground for a new 16,800 square foot medical center, capable of serving 60,000 patients a year. It is the largest outpatient clinic in Nevada County. In addition to accommodating more patients, plans call for creating 20 staff positions. The new clinic is anticipated to open in fall 2014 and offer affordable health care to so many. We offer the good life on many levels, which is why so many visitors come to play for a day and end up staying a lifetime. There’s a home waiting for you here too! 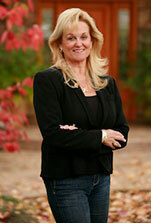 Kathy Papola has 36+ years experience successfully representing buyers and sellers of estates, ranches, residential, subdivisions, land and commercial properties with a background including financial lending, recreational lake management and a real estate brokers license in the State of Nevada.